If you have plans to add a new house extension, then there are many things you need to consider before getting started. 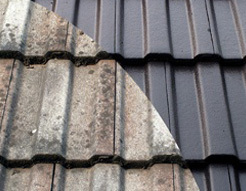 One such consideration is whether connecting old tile roofing with a new house roofing extension is possible, or not? The good news is that it is possible to connect old tile roofing with a new house roofing extension, but it is not recommended in some circumstances. For example, a small house extension project, where old existing roofing can be extended or a roof overhang to the building can be made, it is possible to connect old tile roofing with your new house roofing extension, by adding a few rows of roof tiles. However, when a new home extension is built into the roof of your home, then you should consult with a builder or roofing professional. Have them come and look at the roof of your home to determine is your roof and trusses can support the weighed of your planned new house roofing extension. Even if the roof of your home can handle the weight of a new roof extension, in most cases, it is not recommended adding new roofing to an older roof. While it is possible to connect old tile roofing with a new house roofing extension, there are a few good reasons why it is not recommended doing so. One of the main reasons is because most often new house roofing extensions are planned on homes that are more than fifteen years old. This is typical, as many homeowners often invest money into their homes to increase property value. 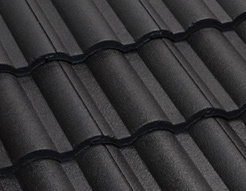 Basically, connecting old tile roofing with a new house roofing extension can create a problem of different ages of roofing between slopes of the roof. For example, typical roof shingles have a lifespan of up to 30 years. Adding new roof shingles creates the problem of different areas of a roof that do not have the same lifespan. However, in the case of terracotta and concrete roofing tiles, it is possible connecting old tile roofing with a new house roofing extension because these roofing materials can last more than 50 years. 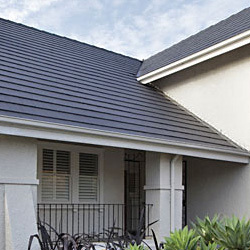 If you want to invest money into your home, by adding a new house roofing extension, but you are concerned about connecting it to your old tile roofing, then contact the experienced roofers at Ajax Gregson Tiles, they can help determine the best course of action to take.